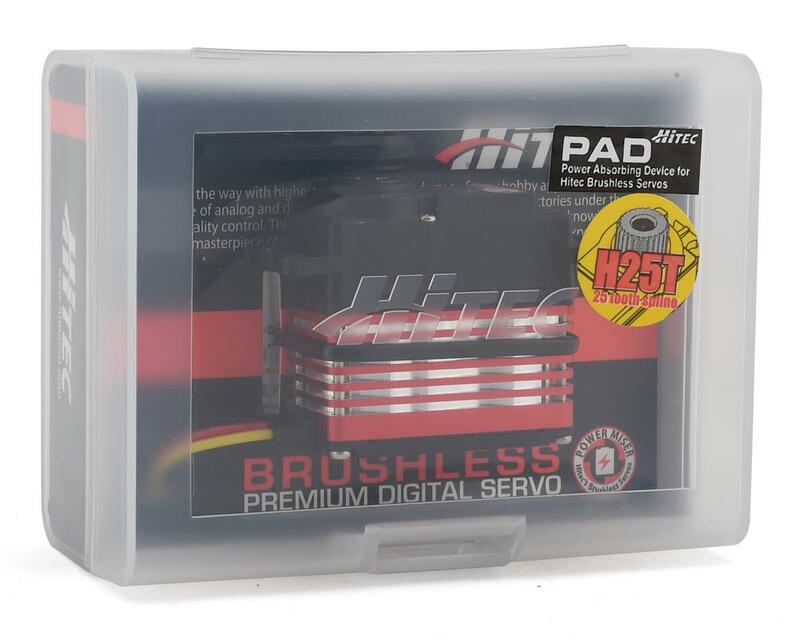 The Hitec HSB-9380TH Ultra Torque Brushless Titanium Gear Servo features an ultra-efficient brushless motor, titanium gears, low current consumption and constant output power. 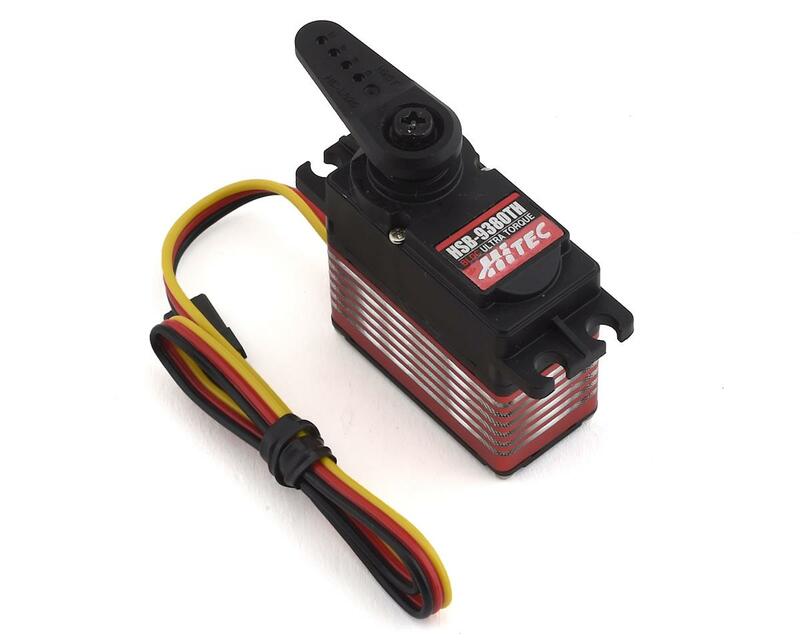 This makes the HSB-93XX series of servos a great choice for discriminating pilots and racers. NOTE: While compatible with most radio control devices, the regenerative braking feature of the HSB-9XXX series servos may cause a problem if the device cannot accept a backflow of current. The types of devices that cannot accept this backflow are: Voltage Regulators, Power Safe Receivers and certain BEC circuits whether stand alone or integrated within an Electronic Speed Control. 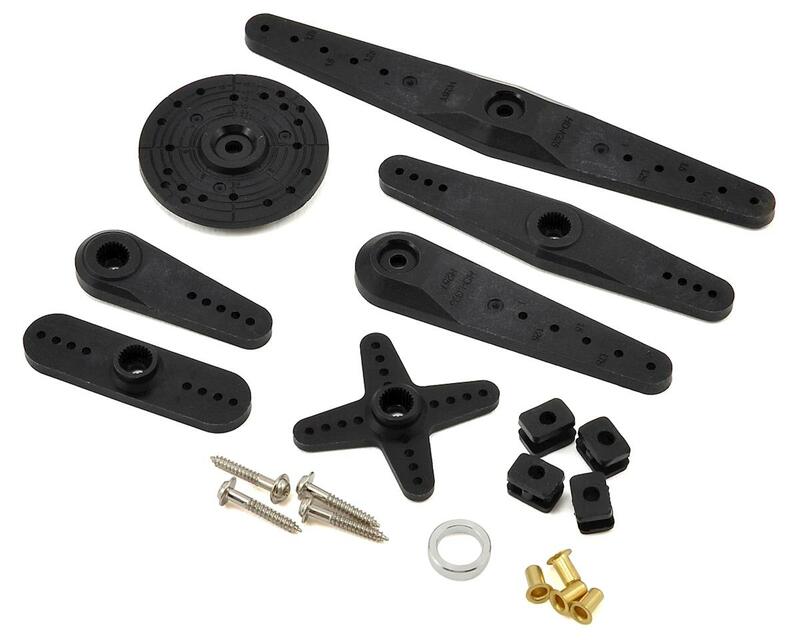 Check with the manufacturer or the Hitec website for a list of compatible models. If your device cannot accept a current backflow, then you must install a PAD (Power Absorbing Device - HRC55756) as described in the manual. 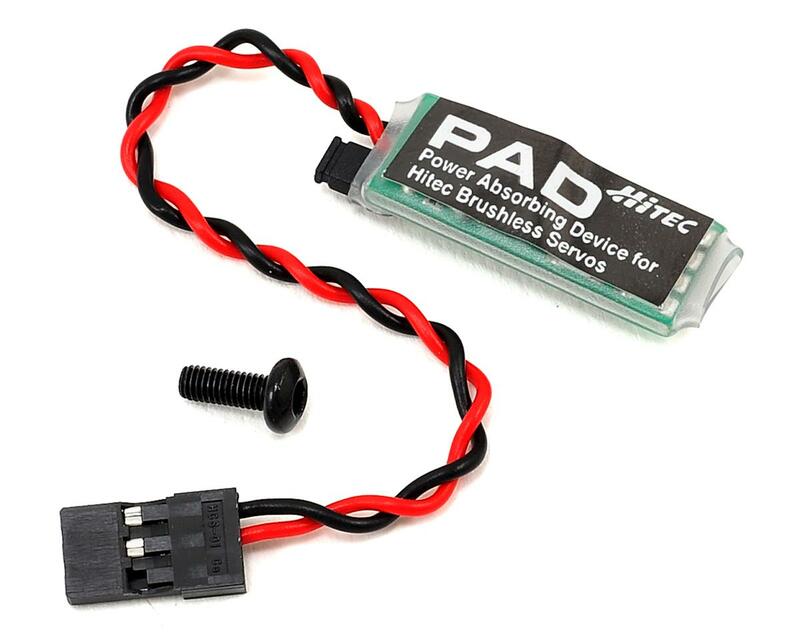 A PAD is included with every Hitec brushless servo.